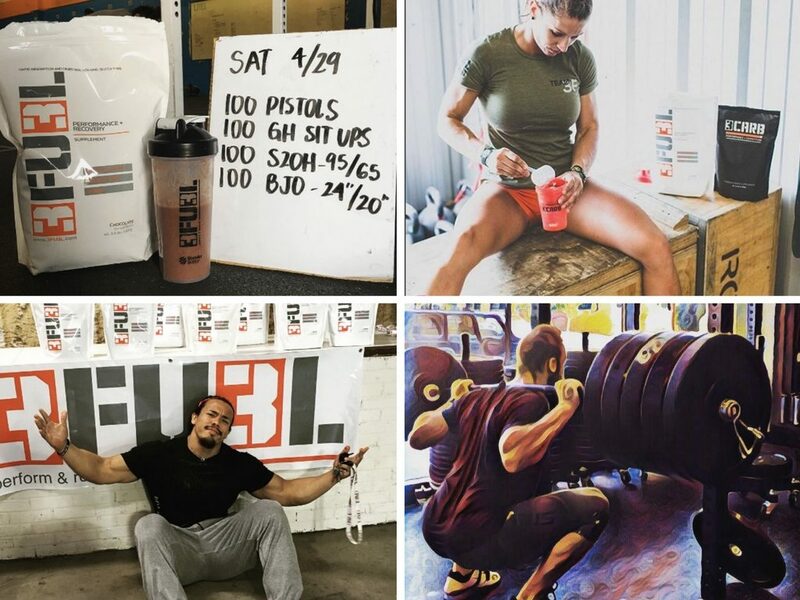 No Comments on Learn Why 3FU3L Ambassadors Love Our Unique Workout Supplements! 3FU3L makes some of the most unique products in the high-performance supplement industry. And when we’re not dispelling some common supplement myths, we’re talking to our ambassadors to make sure they’re getting the most out of our products — and gaining valuable insight into future product developments. Find out why some of the top 3FU3L ambassadors are digging 3FU3L and 3CARB so much! I loved the taste of 3FU3L instantly, the chocolate is so good! But it was a great way to recover after my workout. Especially with multiple sessions in a day, I was ready to go for my next one. After I started 3FU3L I could tell a big difference in my recovery. Even though I was sore I could come back the next day and give it my best without that tired draining feeling. The very first time I took 3FU3L I went running immediately after and I could not believe how great I felt. No stomach upset at all! I always had trouble finding a product that would work that way. Loveeeee 3FU3L! The very first time I took 3FU3L was before a workout and I felt like I was able to keep my intensity level up through the entire session! 3FU3L is my number one choice before any workout. First time I used 3FU3L was during my training for regionals before I began my training session. It helped me maintain energy levels and allowed me to give my body what it needed before I got behind!